If you’re looking for a small, homey village that’s just a short drive away from the heart of Cleveland, I’ve got a wonderful suggestion: Bratenahl. This historic lakefront community is one of Cleveland’s oldest residential suburbs. When it comes to prestige, it’s right up there with Shaker Heights, with its stately mansions and upscale waterfront homes. I’ve got some facts about Bratenahl that will certainly endear the village to you. Bratenahl only covers a total area of around 1.60 square miles. Take away the .58 square mile of water and you’ve got a total land area of only 1.02 square miles. This makes Bratenahl a highly compact enclave– you don’t need to drive far to get to where you want to go (within the village). Downtown Cleveland is close by. One of the perks of living in Bratenahl is that you get to enjoy residing in a quiet and peaceful community while only being roughly 10 minutes away from the excitement of Downtown Cleveland. For this reason, you can think of Bratenahl as somewhat of a bedroom community. A lot of its residents work in Downtown Cleveland, and with good reason– it’s awfully convenient! Most people take the Cleveland Memorial Shoreway (which has I-90 as one of its component highways) from Bratenahl to get to Downtown Cleveland. The Cleveland Memorial Shoreway runs through the village. You’re probably familiar with the Cleveland Memorial Shoreway by now. When you live in Bratenahl, it’s going to become a huge part of your transportation. Aside from easily connecting Bratenahl to Downtown Cleveland via I-90, the shoreway also counts Routes 2, 6, 20 as some of its component highways. What does this exactly mean? Aside from having easy access to Downtown Cleveland, you can also travel to Detroit and Ohio City without breaking much of a sweat! Lakeshore Boulevard is a beautiful residential street. And as a home buyer, this is one of the places where you’ll start your home search in Bratenahl. Often featured in many publications, Lakeshore Boulevard is a woodsy road that traverses the whole length of Bratenahl. As you drive along this scenic concourse you will find gates to exclusive gated communities, inner roads that lead to more secluded areas, as well as key developments like Bratenahl Place, an upscale lakefront condo. Behind the trees that line Lakeshore Boulevard, you’ll also find glimpses of well-designed and upscale custom homes in an array of architectural styles. Nature is right around the corner. 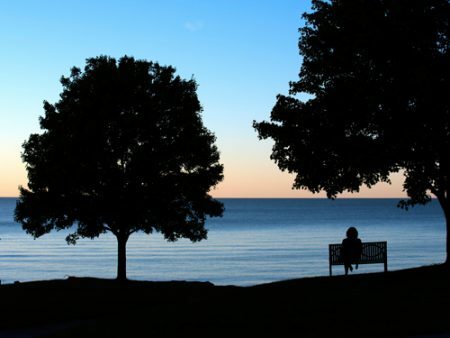 Aside from Lake Erie, which bounds Bratenahl to the north, the village is minutes away from a variety of outdoor relaxation and recreation. Just right outside Bratenahl are the Cleveland Lakefront Nature Preserve, Gordon Park, and the Rockefeller Park and Greenhouse. In conclusion, you’ve got both water and land recreation within reach in Bratenahl. Doesn’t that sound lovely? I can show you around more sought-after Cleveland neighborhoods and suburbs and tell you all about real estate in Cleveland, Ohio. All you need to do is get in touch with me at 440-823-2448 or michellemcquade(at)howardhanna(dotted)com.